This is a private tour. 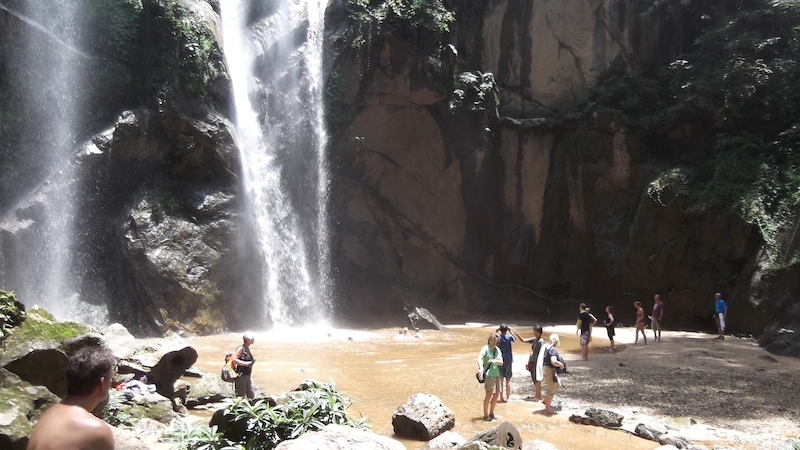 This two day trekking give you a chance to explore the beautiful Huay Nam Dang and Mae Taeng area. You will stay overnight in a fantastically located hilltribe village with great views over the forest and the valleys. 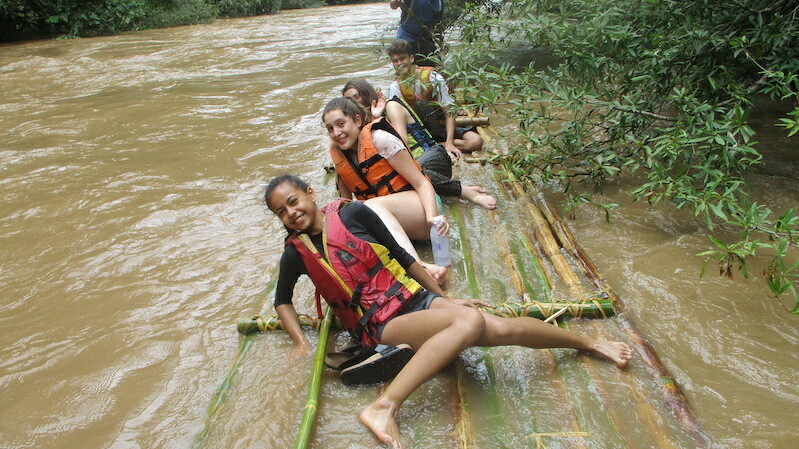 The trip ends with a fabulous bamboo rafting down Mae Taeng River. Your guide will meet you at the hotel about 08.30, drive to Huay Nam Dang National Park for your two day Huay Nam Dang trek. 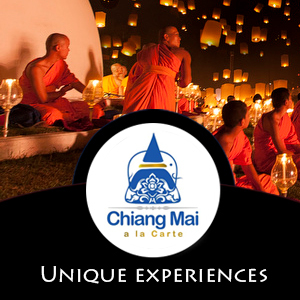 Our first stop will be at Mae Malai where your guide will do his shopping for the coming days. He will take you along and will explain about the different ingredients he will be using for dinner. Continue to the Mork Fa waterfall where you can have a swim and relax. Enjoy a local lunch at a roadside restaurant. After lunch we will continue to the Pong Deuad Hot Springs where we will stop briefly. Here we will start trekking. We will trek for about four hours through the forest. The forest is dense in this national park. We also enjoy magnificent views.After arrival in the Karen village where we will spend the night. After arrival in the village you can relax, explore the village or learn some Thai cooking by helping your guide prepare the dinner. He can explain you about the herbs and ingredients he uses. After dinner your guide will take you to one of the village houses where you will meet some of the villagers. Overnight in the Karen village. Breakfast at the village. Our bamboo rafts are waiting for us. 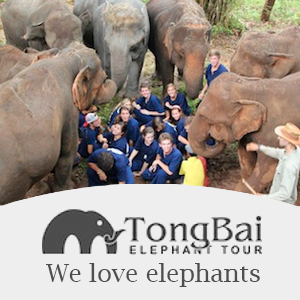 Enjoy a wonderful bamboo raft trip along the Mae Tang River to a Red Lahu village. This is by far the most beautiful and enjoyable bamboo raft trip you can make in North Thailand. Depending on the season there are some exciting rapids in this river. Enjoy the view of lush green jungle on both riverbanks. Bamboo rafting was an important means of transportation in the olden days. Here we will stop for a while. 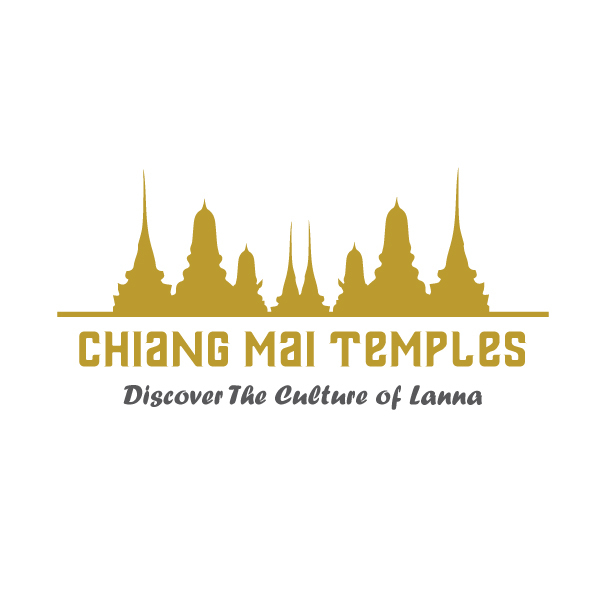 Your guide will explain about the Red Lahu people. We will raft to a Shan village where we will have lunch. Drive back to Chiang Mai by trekking truck. We will drop you at your hotel at around 1700. Here your Huay Nam Dang Trek ends. 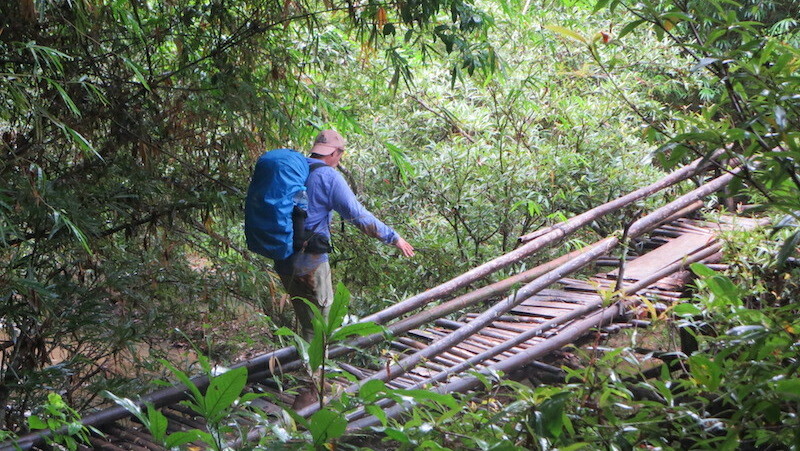 *During the rainy season we may not be able to bamboo raft because of high and dangerous water levels. In this case we will do the rafting more down river where it is more safe but shorter. **Due to weather conditions and other conditions on the ground we might have to adjust the itinerary of this trekking. If it is necessary to adjust the program we will always make sure that the quality of your experience and your personal safety are safeguarded.